Yikes! So much to share today. 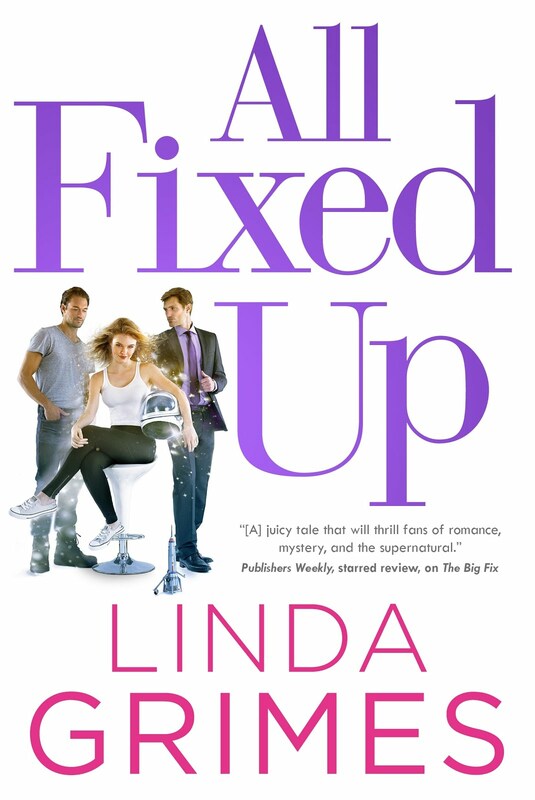 First of all, Pre-Fix is out there as of today--yay! 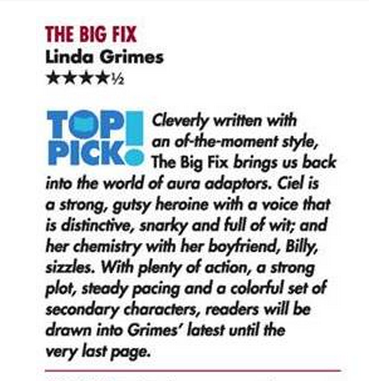 Meet Ciel Halligan, aura adaptor extraordinaire, in this charming introduction to Linda Grimes' "sparkling series" (Publishers Weekly). A genetic quirk means Ciel can take on the appearance of anyone she meets by projecting their aura. This startling ability presents endless possibilities, and she's one of a rare few who has it...so you'd think it'd be easier finding a day job that lets her put it to use. Actress? Model? Ethically dubious and possibly criminal activities, like her best friend Billy? Ciel's long-time crush and fellow aura adaptor, Mark, has found his calling as a CIA agent-a life of intrigue, danger, and the perfect utilization of their rather unique skill set. It seems like the obvious choice to Ciel: She could do good and spend time with her crush. What could be better? 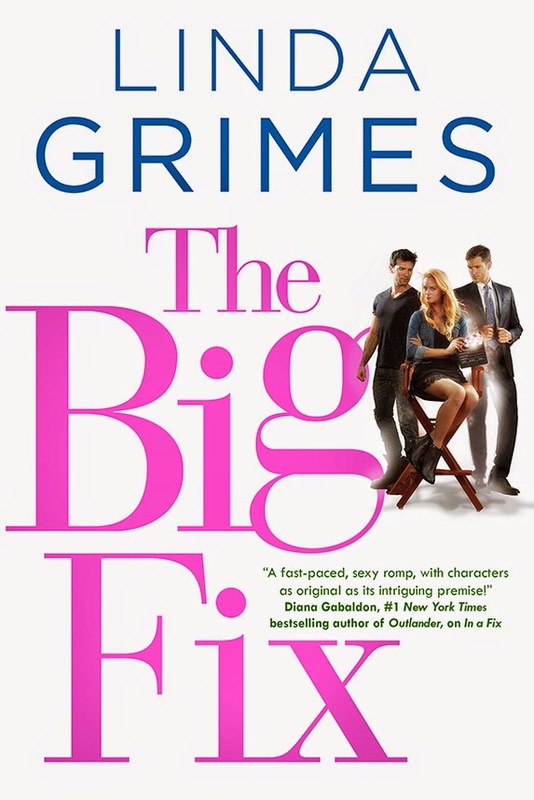 And, finally, a bit of awesome news I just got today: THE BIG FIX got a starred (!!!) 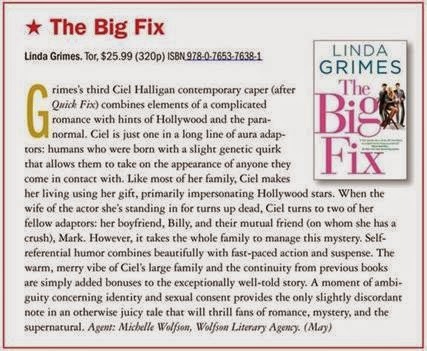 review from Publishers Weekly! 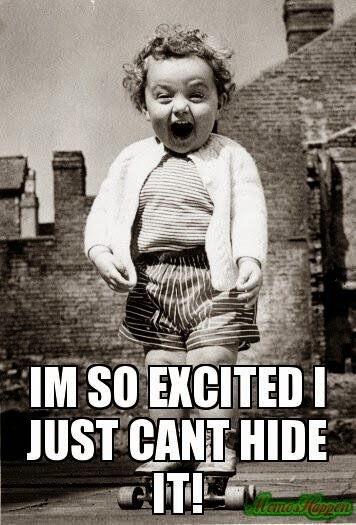 I'm over the moon and grinning from ear to ear. Funny thing: the "slightly discordant" moment the reviewer is referring is the absolute favorite scene of my agent, my editor, and the vast majority of my CPs, betas, and early readers. *grin* Whatever. I'm just thrilled with the rest of the review. Anyway, sorry to unload all this on you at once, but that's how things in the publishing biz apparently work. Long stretches of waiting, punctuated by busy-busy-busy-ness. 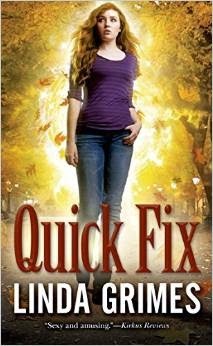 Edited to Add Breaking news: Tor just dropped the price of the IN A FIX ebook to $2.99! (See above about stuff happening all at once.) So, if you haven't gotten around to reading it yet, for whatever reason, now you can grab it for a pretty good price.